Candace H. Johnson - For Shaw Media Grant's Mike Huff leaps up for a shot against Cary-Grove's Benjamin Ferrell in the fourth quarter during the Class 4A regional semifinal game at Lake Zurich High School. 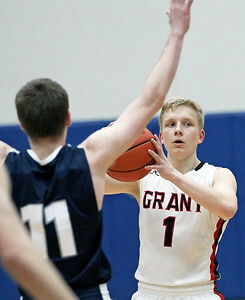 Grant won, 60-45. Candace H. Johnson - For Shaw Media Grant's Kyle Dupree shoots over Cary-Grove's Zach Beaugureau and Luc Bressett in the third quarter during the Class 4A regional semifinal game at Lake Zurich High School. Grant won, 60-45. 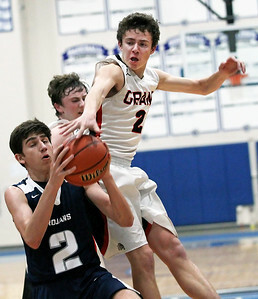 Candace H. Johnson - For Shaw Media Grant's Jack Gorden blocks a shot by Cary-Grove's Sam Carhart in the fourth quarter during the Class 4A regional semifinal game at Lake Zurich High School. 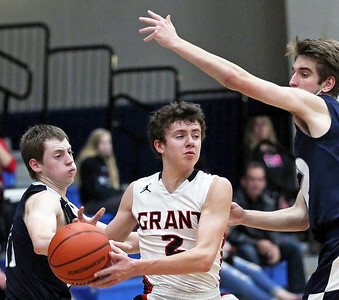 Grant won, 60-45. 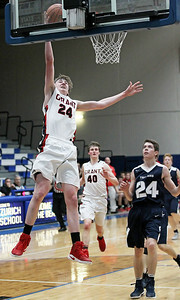 Candace H. Johnson - For Shaw Media Grant's John Kerr goes up for a shot against Cary-Grove's Benjamin Ferrell in the fourth quarter during the Class 4A regional semifinal game at Lake Zurich High School. Grant won, 60-45. 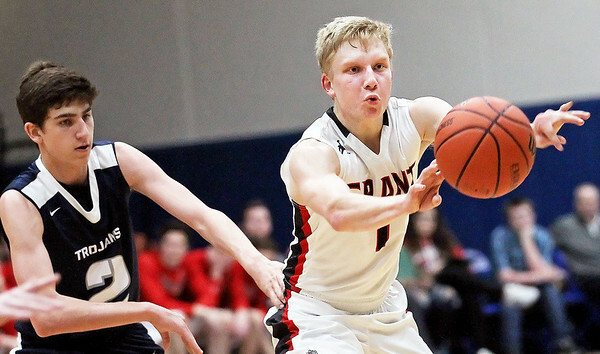 Candace H. Johnson - For Shaw Media Grant's Logan Lewis looks to pass against Cary-Grove's Zach Beaugureau in the first quarter during the Class 4A regional semifinal game at Lake Zurich High School. 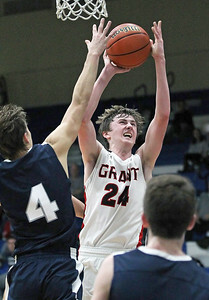 Grant won, 60-45. Candace H. Johnson - For Shaw Media Grant's Jack Gorden looks to pass against Cary-Grove's Zach Beaugureau and Matthew McCumber in the fourth quarter during the Class 4A regional semifinal game at Lake Zurich High School. Grant won, 60-45. 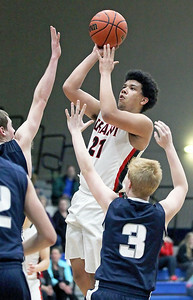 Candace H. Johnson - For Shaw Media Grant's Logan Lewis passes the ball against Cary-Grove's Sam Carhart in the second quarter during the Class 4A regional semifinal game at Lake Zurich High School. Grant won, 60-45. Candace H. Johnson - For Shaw Media Grant's John Kerr aims for the hoop against Cary-Grove's Daniel Clarke in the second quarter during the Class 4A regional semifinal game at Lake Zurich High School. 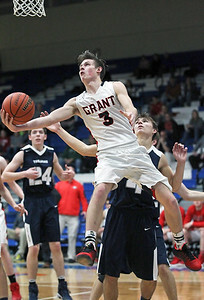 Grant won, 60-45.